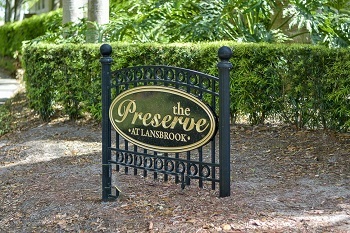 Preserve at Lansbrook is a community of townhouse style condominiums and villas located in the East Lake area of Palm Harbor with garages. Preserve at Lansbrook is an awesome real estate community of two bedroom 2 bath condos with lower and upper units. 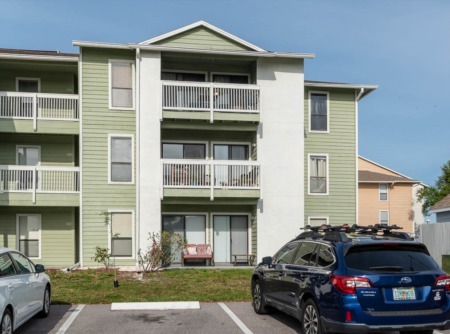 Located just off of East Lake Road and Village Center Drive, you will find condos for sale featuring roughly 1750 to 2400 square feet of luxury condo living area, with a monthly maintenance fee to cover the HOA responsibilities of the grounds. Preserve units are bright and airy, with open floor plans, high ceilings, screened lanai, walk-in closets and plenty of storage. Decorative details include crown molding, built in entertainment centers, and built in desks with shelving. Custom upgrades featured throughout Preserve at Lansbrook include gourmet island kitchen, over-sized master bathroom, beautiful garden tub, relaxing whirlpool tub, surround sound system, and peaceful view of the preserve. You will find model decor throughout the home at Preserve at Lansbrook with special attention to detail. Homeowners at Preserve at Lansbrook enjoy golfing, access to Lake Tarpon for boating and fishing, community pool, jogging trails, and recreation building. 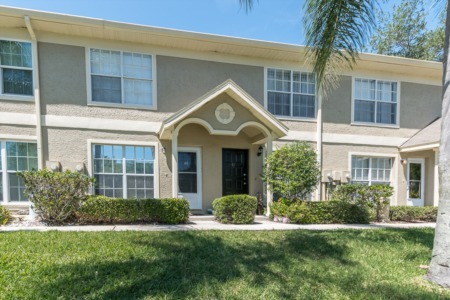 Close to shopping, schools, library, YMCA, and Pinellas Trail. Picnic at Pinellas County Parks and delight in the Florida sunshine at the nearby beaches on the Gulf of Mexico. Selling your Home at The Preserve at Lansbrook? Are you thinking about selling your home in The Preserve at Lansbrook? Call Lipply Real Estate and let us be the ones to help you make selling your home a stress free process. We are confident that we can provide you with the best Marketing Plan and get you the best possible sale for your home. Check us out today by calling us directly at 727-314-1000 or enter your contact information in the form below.